We know that two non parallel lines intersect at a point. If a third line is drawn passing through the same point, these straight lines are called concurrent-lines. 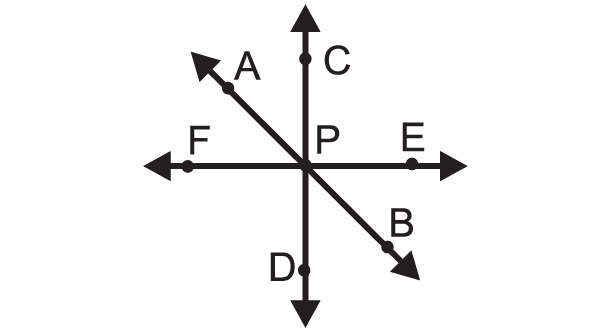 In the figure given below, the straight lines AB, CD and EF are passing through one point "P". Here point "P" is the point of concurrency. From the figure given below, find out the concurrent-lines and point of concurrency. 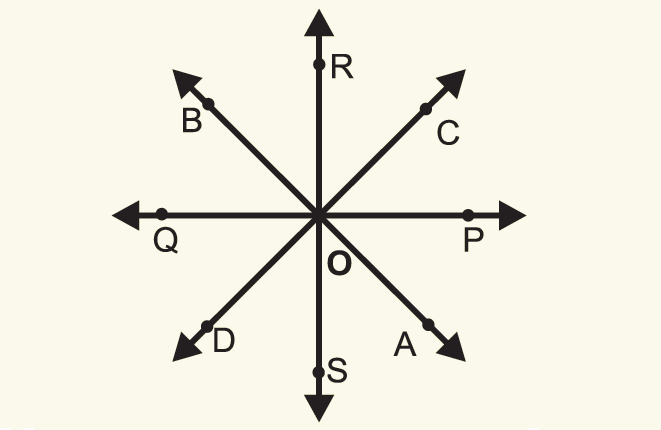 The straight lines AB, CD, PQ and RS are concurrent lines. These lines are passing through the point "O". Therefore "O" is the point of concurrency. Prove that the lines 3x - 4y + 5 = 0, 7x - 8y + 5 = 0 and 4x + 5y = 45 are concurrent and also find the point of concurrency. Let us solve the equations (1) and (2) using substitution method as given below. So, the point of intersection of lines (1) and (2) is (5, 5). Now let us check that whether the third line satisfies the point (5,5). To do that, plug (5, 5) in the equation of the third line. Point of intersection of lines (1) and (2) satisfies the third line. Therefore, all the given three lines are passing through the same point (5,5) and they are concurrent. After having gone through the stuff given above, we hope that the students would have understood "Concurrent-lines".